Schedule Your Mock-Interview Appointment Today! Mock-Interviewing is a pre-interview booster, an opportunity to practice interview skills, and to receive constructive feedback in a non-threatening, supportive environment. Students and alumni are invited to schedule a mock interview with Ellen Rodgers, a retired HR professional with over 25 years of experience, on Thursday, September 28, 2017 at the Schaumburg campus. Appointments are limited. Please email Danette Schulz at dschulz@roosevelt.edu if you are interested in scheduling your mock-interview. 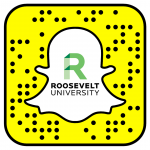 For questions, please email dschulz@roosevelt.edu.